This is the overarching term for any Kenyan governmental agency, organ, or branch. 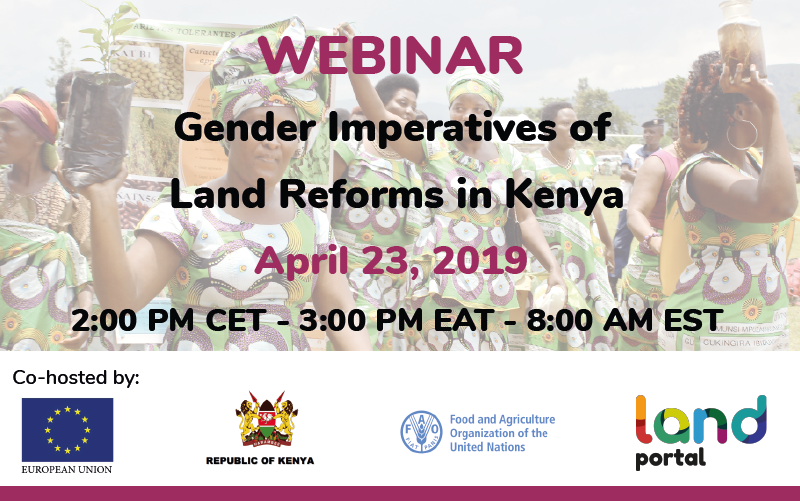 You are invited to join the webinar on the Gender Imperatives of Land Reforms in Kenya on 23 April, from 3 PM to 4:30 PM EAT (2 PM CET / 8 AM ET) to discuss these issues. Please join us for a dynamic discuss on these issues on 23 April, 2019. Register to participate now.